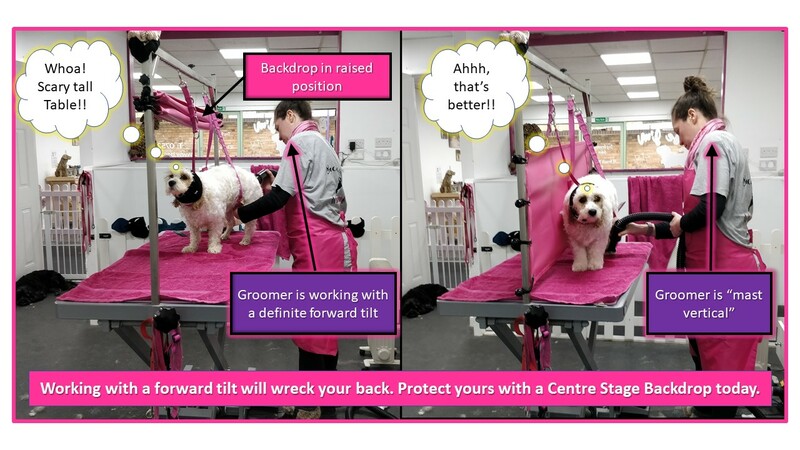 The Backdrop is machine washable It effectively screens off "reactive" dogs in the grooming salon. It can be used with two compliant dogs at the same time, one on either side of the same table. The Backdrop is attached via ball-bungees which enables it to be easily slid up the H-frame bars, out of the way, when not required. Please measure the distance inbetween the H-frame bars in inchcs. Please WhatsApp the colour and the measurement to 07767341424. If you don't have WhatsApp email them here. Each Backdrop is individually made for you, we do not carry giant stocks in every conceivable size. It will therefore probably take 7 to 10 days to get to you following cleared payment. Remember to WhatsApp the Measurement and the Colour to 07767 341424 as soon as you've made paymemnt.